Identity theft is a term used to describe all types of crime in which someone wrongfully obtains and uses another person’s personal data in some way that involves fraud or deception, typically for economic gain. There is nothing like going to apply for a loan, attempting to buy a home or opening a checking account, and having a representative inform you that you were denied because you had a negative credit history. That is exactly what happens to many Americans on a daily basis and is an increasingly disturbing trend that must not be ignored; it is called identity theft. Houstonian Dexter Evans has been the victim of this criminal atrocity for the last 12 years and he wants the world to know why every American should be gravely concerned about the deep flaws in our various systems of government. For over a decade, Evans became the unwilling victim of identity fraud and didn’t even know it until he started receiving correspondence from creditors. Evans quickly learned that a 36-year old man by the name of Edgar Abiel Linares, had not only acquired several credit accounts, but had moved into a home in north Houston that was purchased under Linares’ name but using Evans social security number back in 2001. Evans said that he discovered that Linares had established account relationships with Wells Fargo Bank, Conn’s, Home Depot, Macy’s, Pep-Boys, Sam’s Club, Reliant Energy, Washington Mutual Bank, Life-Lock, Finger-Hut, Chase Bank, Capital One Bank and several others. Evans said that all of these accounts appeared on his Equifax, Experian and Transunion credit reports and his credit has been completely ruined as a result. Linares was able to secure over $100,000 in credit accounts and purchase at least one home that Evans is aware of. Evans was even denied a checking account at a local bank because Linares had already opened one at the same bank. Evans wants to know how a banks and a detailed financial system that has been setup to supposedly protect Americans, can allow this to happen to Americans. According to the Harris County Sheriff’s office, Linares got a hold of Evans’ social security number back in 2001 and immediately went to town on him. Harris County Sherriff investigators stated that Linares admitted to using Evans’ social security number and admitted to knowing that the social security number didn’t belong to him. Harris County Sheriff investigators believe that Linares is an illegal immigrant and used Evans’ social security number because he had no social security number of his own, which is not unusual especially in a city that attracts undocumented workers who end up making Houston their home. Even after he was arrested and charged with a third-degree felony of False Statement to Obtain Credit charge, Linares and his family continued to live in the home he purchased fraudulently. Linares eventually moved and now Evans lives in the home but is still looking for legal assistance to help him clean up his credit and his name. Evans currently is unaware where Linares is, but is livid to recently learn that Linares received a no-bill judgment on his third-degree felony charge from the courts. That means Linares will not have to go to court to face the music for his crimes. 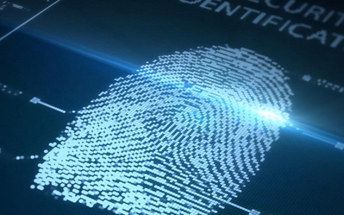 Unlike your fingerprints, which can’t be used by anyone else, your Social Security number can be used by a criminal-minded individual if they choose to. Here in the U.S., people regularly report that an unauthorized person has taken over their identities and have ran up countless amounts of debt in the name of the victim. In most cases, the loss that a victim encounters is more than just a financial one, but also consists of the losses of money and time associated with seeking to restore their reputation and correcting the fraudulent information attributed to them. Evans states that the rules established by the Texas Department of Public Safety (DPS), puts all of Americans at risk. That affidavit is called a Social Security Affidavit (form DL-13) and has a form date of August 2002. Linares has been using Evans’ social security number since 2001. Evans states that the dates don’t add up and believes that someone on the inside of the Texas DPS helped Linares obtain his state issued identification. In order to purchase a home or do any credit or financial transactions, a person would need to have proper state identification. Linares was issued that identification from the Texas DPS. Evans believes if it was so easy for an illegal immigrant to cover over to America; steal his social security number; be issued a state issued driver’s license by simply filling out a Social Security Affidavit; and not go to jail and be charged with a crime; then all Americans should be worried and should contact their state legislators to express their concern. A call was placed to the Texas DPS offices at the time this story was written, but we were unable to get a response. Everyone should take major precautions to protect themselves from one of the fastest growing consumer crimes in the nation; known as identity theft. According to the U.S. Department of Justice, Javelin Strategy & Research, nearly 12 million Americans have their identities used fraudulently each year with financial losses totaling approximately $21 billion in 2013. On an average basis, that means approximately 7% of all Americans have their identities misused with each instance resulting in approximately $4,930 in losses per individual. These alarming statistics show that identity theft may very well be the most common and expensive crimes committed in the U.S. Identity thieves don’t just steal money; they steal who you are and their actions can seriously jeopardize your financial future. Victims of identity theft have the ongoing responsibility to correct erroneous information about their financial or personal status, as well as restore their reputations with the community, which often takes longer to make right than it took for the criminal to commit their crimes. In order to minimize the risk of becoming a victim of identity theft, people should: avoid giving out personal information to others unless they have a reason to trust them; check their financial information regularly and look for what should be there and what shouldn’t be there; ask for a copy of their credit report periodically; and maintain careful records of their banking and financial accounts. If you think you have become a victim of identity theft, you need to act immediately to minimize the damage to your personal funds and financial accounts, as well as to your reputation. 3. By mail to Consumer Response Center, FTC, 600 Pennsylvania Avenue, N.W., Washington, DC 20580. Under the Identity Theft and Assumption Deterrence Act of 1998, the Federal Trade Commission is responsible for receiving and processing complaints from people who believe they may be victims of identity theft, providing informational materials to those people, and referring those complaints to appropriate entities, including the major credit reporting agencies and law enforcement agencies. Individuals should contact their local office of the FBI or the U.S. Secret Service to report crimes relating to identity theft and fraud. Individuals should also contact their local Post Office; the Social Security Administration if they suspect that their Social Security number is being fraudulently used (call 800-269-0271 to report the fraud); the Internal Revenue Service (IRS) if they suspect the improper use of identification information in connection with tax violations (call 1-800-829-0433 to report the violations) and the fraud units of the three credit reporting companies – Equifax, Experian and Trans Union. To report fraud with Equifax, call (800) 525-6285 or write to P.O. Box 740250, Atlanta, GA 30374-0250. To report fraud with Experian, call (888) EXPERIAN or (888) 397-3742, fax to (800) 301-7196, or write to P.O. Box 1017, Allen, TX 75013. To report fraud with Trans Union, call (800) 680-7289 or write to P.O. Box 6790, Fullerton, CA 92634. Individuals should contact all creditors and financial institutions with whom their name or identifying data have been fraudulently used. Many people do not realize how easily criminals can take over our identities without even having to rob them at gunpoint or break into their homes. Identity theft is a federal crime. It is important for everyone to do their best to protect themselves from being one of the many victims of this horrible crime.